Epcot International Food & Wine Festival 2018: Festival Center & More! Before this last visit to Walt Disney World, I had never been inside the Festival Center at Epcot…ever. That’s one of the things I love most about Disney…there’s always something new to experience with every trip to the parks. Not only did I film a tour of this huge space (the bathrooms are really nice! 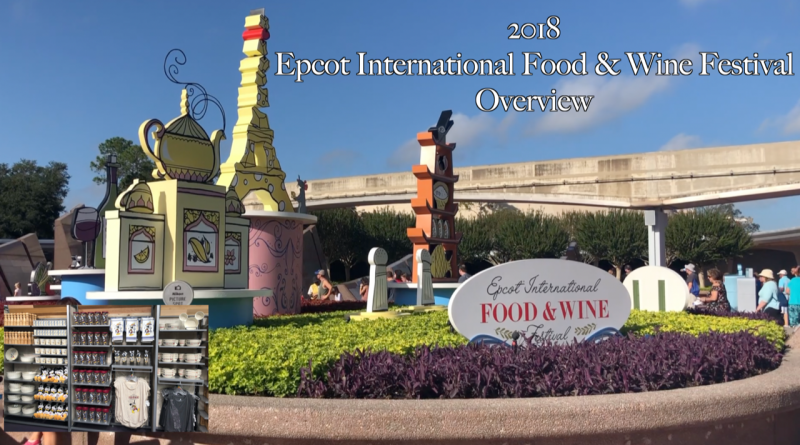 ), but I also put together a brief overview of the 2018 Epcot International Food & Wine Festival. Have you done at seminar at the Festival Center? How did you like it? Let me know in the comments! I stopped in the Festival Center a few weeks ago — it’s also the place for AP’s to get their magnet (first visit) or cutting board (4th visit). It was a fun surprise — relaxing place to look around. I didn’t go to any seminars but did enjoy just taking everything in. I agree! It was an excellent place to get away from the heat and look around. I really enjoyed my time in there. I wouldn’t hesitate to stop in again to do my shopping instead of looking around the outdoor kiosks.